Ross Payne recently contacted our sporting dog distributor CSJ to offer some feedback on STORM Canis which he has been using for his dog Nimbus who competes in flyball. Here is what he had to say. “Just thought you’d be interested to know how Storm Canis is working for my Border Whippet, Nimbus. He started using Racing Blue in March when his flyball training intensified and has been using it since. 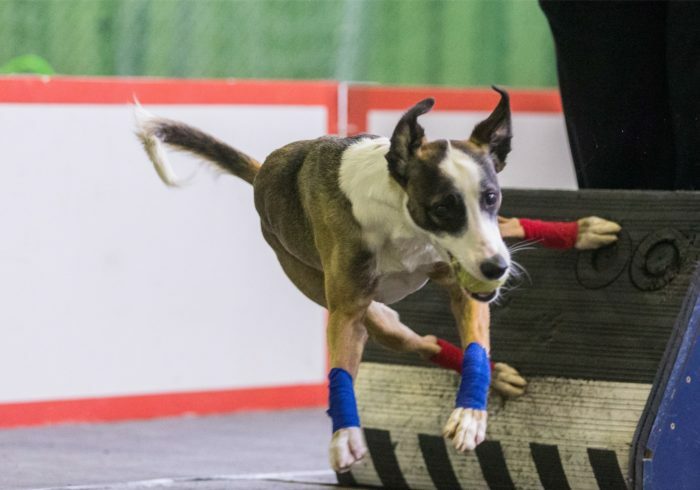 Nimbus made his debut in June and clocked a PB of 3.72 seconds, which is a storming start to his flyball career – I am sure this time will continue to drop in the coming months.